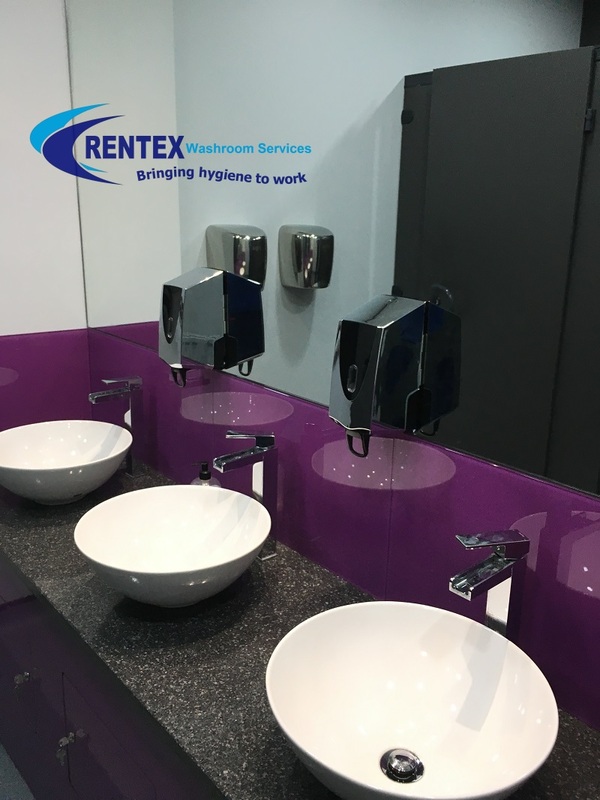 At Rentex washroom hygiene services we specialize in providing cost effective washroom hygiene services as well as business support services. Feminine sanitary units are serviced monthly with a standard of 12 washroom service visits per annum, on each washroom hygiene services visit your sanitary unit will be cleaned, sanitised and all washroom hygiene services waste removed under a Duty Of Care license for safe ethical and legal disposal of waste so you don’t contravene your washroom services Health and Safety Regulations. Our clinical and infection control waste collection as well as sharps bin disposal service are provided in the Leeds, Wakefield, Doncaster and Sheffield areas including Huddersfield, Halifax, Harrogate and York. Waste removal services performed under license with a Duty of Care for the safe collection, transportation and ethical disposal to comply with European legislation. For additional information on our sharps waste management services please use the links at the top of the page; sharps bin services, infection control services and Offensive Waste removal. With over 30 years experience within the industrial dirt control mats and logo matting service sector our professional team work with you to establish your floor protection requirements. Our standard range of loose lay barrier mats significantly provide an highly effective and efficient way of removing dirt and stop the ingress of grime from foot traffic by trapping grit and moisture deep within these dirt barrier mats. Reducing floor cleaning costs and as well as preventing slips on wet slippery floors. As a proactive commercial washroom hygiene business partner our commitment to listen and understand your specific needs provides a bespoke first class washroom service package. Our washroom hygiene services staff understand that no organisation can underestimate the high benefits of personal hygiene services provided by a professional washroom service partner. It will not only enhance your image but comply with your legal duties under the Health, Safety and Welfare at Work Regulations 1992. 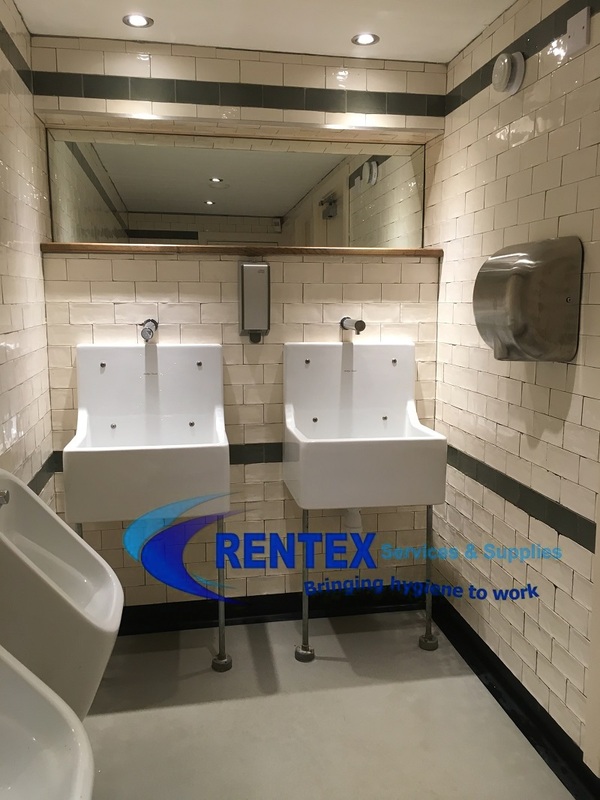 With a friendly team of male and female washroom hygiene services operatives who call on a regular basis to maintain your sites washroom and business facilities in a professional discrete manor. 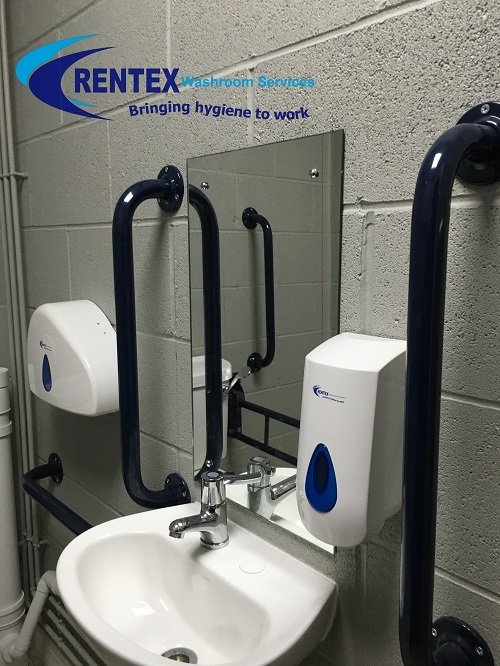 Rentex washroom hygiene services are well placed to carry out these services within North, South, East and West Yorkshire. 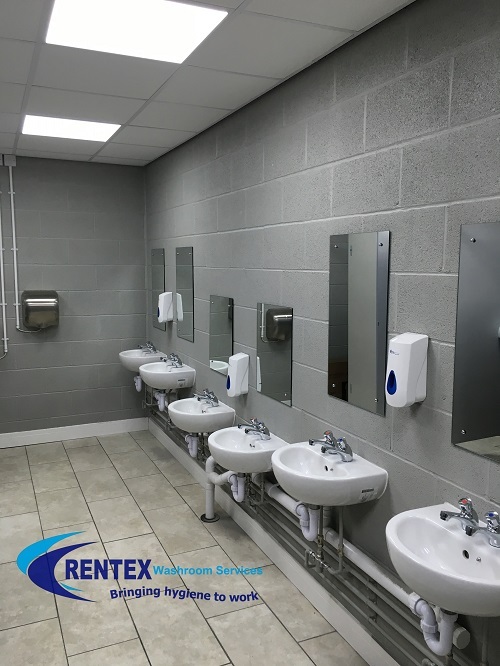 Washroom Hygiene Services Why Choose Rentex Services Wakefield ? Regular washroom hygiene services from dedicated as well as discrete customer care representatives. Your duty of care as a producer of waste. All employers have a legal duty of care to ensure that all waste is legally removed from site up to its final disposal. Breach of your duty of care is a criminal offense that can carry a penalty of up to £5,000 on conviction, weather you produce controlled waste or offensive waste. All your floor mat protection needs can be taken care of in the most affordable and easy way. 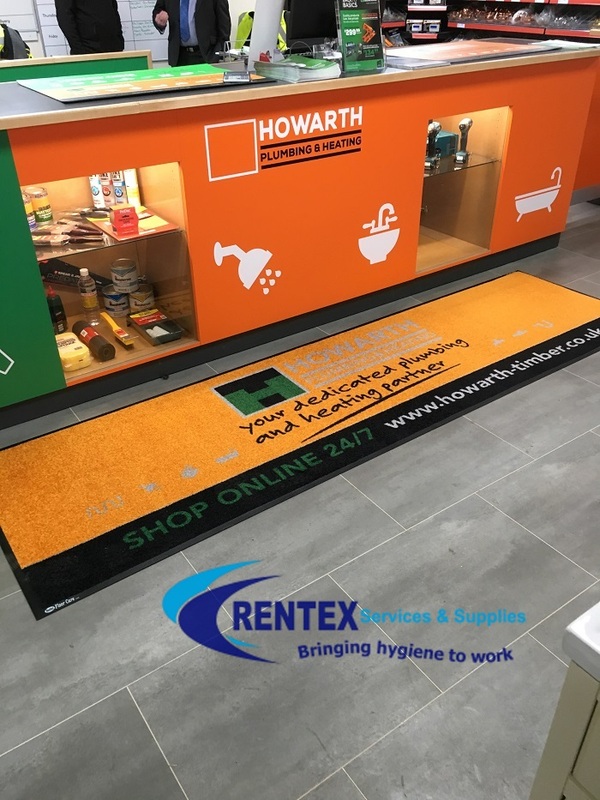 Rentex door matting and mat rental services are your ideal solution to provide dry and safe floors for staff and visitors. Our floorcare service provides a unique mat rental service that guarantees freshly cleaned, top quality floor mats delivered to you on a scheduled basis by our own friendly mat rental services operatives. Mat rental services also helps to maintain a great impression with customers at all times. Reduce daily cleaning costs by substantially reducing tracked in dirt and grime. Mat rental services extend the lifespan of expensive floor surfaces. Whilst also offering the same dirt control performance as our standard dust control door mats. These bespoke graphic entrance mats furthermore make a powerful first impression to your commercial premises. 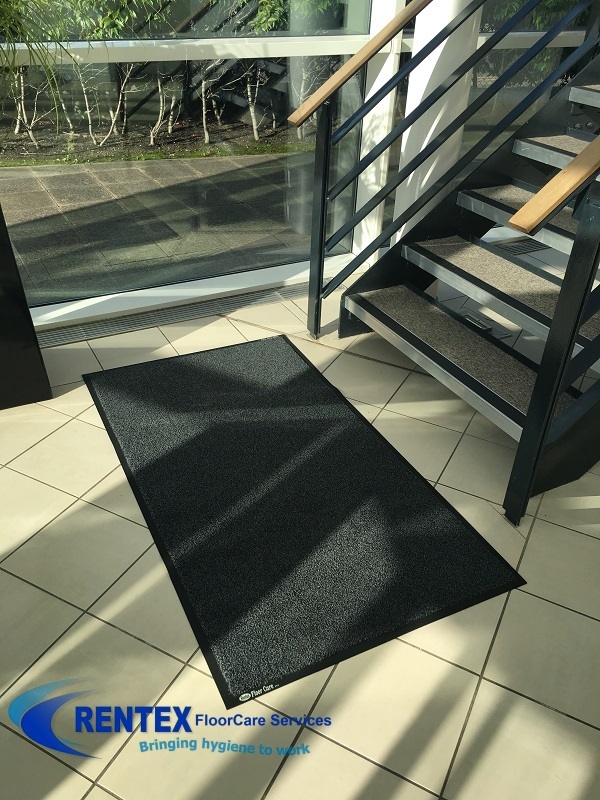 A mat is like a dustbin – it’s purpose is to collect moisture as well as dirt and stop it being walked into your building. You don’t ‘buy’ a dustbin – you have it emptied. The same logic applies with mats. Changing mats regularly for clean mats allows you to specifically remove the dirt build up. This results in a clean mat ready to absorb more grime and dirt. On carpets the dry soiling acts like a jagged cutting tool to damage the carpet fibres every time it is walked on. Vacuum cleaners are on average only 30 % effective in picking up dirt and soiling within the pile. The grime walked in by foot traffic acts like sand paper slowly grinding away at expensive floor coverings especially on wood, laminate and linoleum.